The 51-year-old military commander and politician was considered to be Karabakh’s most powerful man in the 1990s. He began to lose his clout dramatically after being arrested in 2000 and later convicted and imprisoned for plotting an assassination against the Karabakh president. After being released having served only four years of his 14-year jail term, Babayan attempted to engage in politics in Armenia, but the Dashink party he established did not achieve any major success. Babayan, who reportedly spent the last several years in Moscow, Russia, told 7or.am upon his return to Armenia earlier this week that his “main mission” is still in Karabakh, which saw its deadliest fighting with Azerbaijan since the 1994 truce in early April. “People will decide the rest,” added the once feared general, whose return to Armenia appears to have created quite a stir in Azerbaijani media as well. 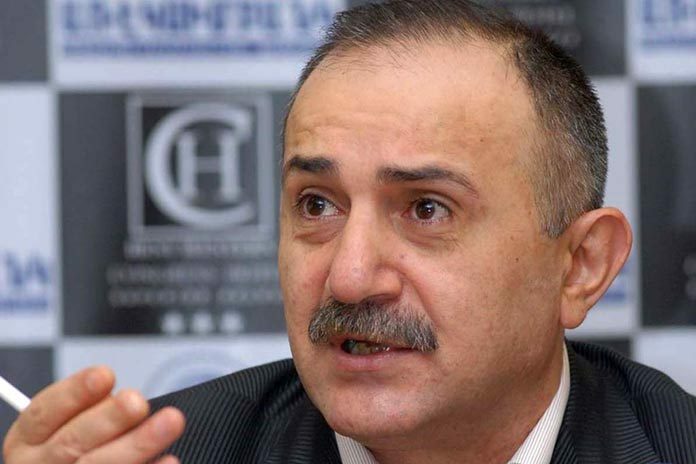 “I never take offense at our people,” Babayan said in an extensive interview with the news website that has openly backed an emerging political party of Vartan Oskanian, who served as Armenia’s foreign minister during Robert Kocharyan’s 1998-2008 presidency and is still considered to be the ex-leader’s confidante. Babayan confirmed that back in 2013 he wrote a letter to President Serzh Sargsyan, warning about Azerbaijan’s possible aggression and laying out his concerns and suggesting solutions that he thought would help avoid clashes or minimize loss of life should hostilities resume. He did not provide details of that letter, however. At the same time, Babayan voiced skepticism over the possibility of a compromise being achieved with Azerbaijan at the negotiating table. “They [Azeris] want to take all. We can deter Azerbaijan only by ensuring a military balance that would be in favor of Armenia and Karabakh,” he said. Babayan said he did not have plans to join any political party in Armenia, but added that he could see people who share the same ideology with him. “With their new mentality these people can have a serious impact also on other political forces. And I have great hopes that they will have a success,” he said, without elaborating.